How to deal with visitors who miss their turn. 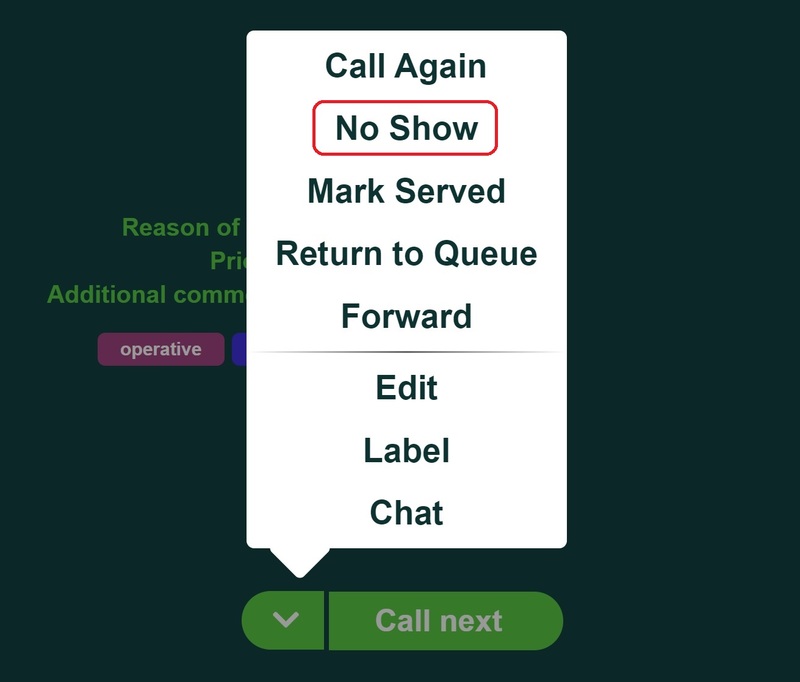 If a called customer does not show up, mark them as No Show. Visitors marked as No Show are excluded from wait time and service time calculations. Marking as No Show ends the service with that customer. If you wish to put them back into the queue, please select Return to Queue. After you mark your visitor as No Show, Qminder TV will show a notification about their missed turn.